More Info Exterior any reasonable daylight hours. Interior daily 10am-4pm, contact key keeper for access. Music Groups/Music Classes for Toddlers, Preschool and Babies, find out about our music classes, where we are and why Musical Minis is great for your child’s development. Musical Minis are pre-school fun time music groups. Our music classes for toddlers and babies offer your child the chance to be involved in developmental activities. Indoor soft play centre with a with a ball pool, raised tunnel and slide and an array of other toys. For the older children a fascinating array of nets, climbing area and slides and a dedicated section for the under 3's toddlers. Indoor play Area Not Supervised OPENING TIMES Monday - Saturday 11am - 9pm. Sunday 12noon - 9pm. CHARGES Our children's play area is FREE to use. Don't forget there is also a children's play area in the garden to keep the kids busy. Woodup Pool is a salt water bathing pool with an area of sand at one end. Children should be supervised at all times as there are no lifeguards in attendance. During the summer months a portable toilet is provided. There is also a grass area with picnic benches. A full list of children's attractions and tourist information in and near Essex. Welcome to the fantastic county of Essex. If you need child friendly ideas and where to take the kids or kids days out, or fun things to do with the kids in and around Essex then we can help. We have family pubs with kids play areas, soft play areas, indoor play areas, outdoor play areas, playgrounds, aquariums, castles, stately homes, children's clubs such as Scouts, Cubs, Beavers, Brownies, Guides, youth clubs, activity centres, Air, Sea, Army Cadets. We list children's entertainers in Essex if you are planning a birthday, cinema, theatre, petting zoo, animal farms, children's farms, leisure hire, museum and art gallery, nature areas such as parks, and countryside walks and beaches. We have kids activities related to outdoor pursuits and sports such as swimming, ice skating, ten pin bowling and football centres. We list theme parks and Adventure Parks in and near Essex. If you are looking for zoos with more exotic animals then we have them. We now list seaside towns in and near Essex, so grab your bucket and spade and head for the Essex seaside with the kids. We have days out with the kids in Essex in and near :- Basildon, Benfleet, Billericay, Braintree, Brentwood, Canvey, Canvey island, Chelmsford, Colchester, Grays Thurrock, Harlow, Loughton, South Benfleet, Southend on Sea, Wickford. With an awful lot of fun things to do with kids in and around Essex your kids will never get bored. Amusement parks are very popular around this time of year and failing that there fair grounds attractions to keep a lot of children entertained. The school summer holidays are here again, and with so many popular venues you will find here on www.children'sLEISURE.CO.UK you won't be left without a museum to visit for FREE. A ride on the steam railway in Essex, a day of water fun at a water park or leisure centre swimming pool :). If you have toddlers then you can choose form indoor play centres in Essex. With plenty of kids attractions in the county or not sure what to do with the kids just use the search on the right hand side of the site using your postcode to find the nearest attractions! For the more sporty types there are ice skating rinks, roller bladeing places and dry and indoor ski slopes. Also with outdoor pursuits in Essex for climbing, hiking, mountain biking and much more. Or if your more cultural there are cinemas, theatres and place to have dance lessons etc. Those things to do with kids in Essex are tremendous and particularly with cheap and free family friendly places to go to in Essex this year. With soft play for toddlers allow the kids stroke the animals at petting farms in Essex. Drive through a wildlife park and visit zoos in southend. We have all sorts of aquariums listed in the UK but you might have to travel to another county. Where can I take the kids only have a look at a few of the pottery making places and ceramic cafes. School teachers may find useful for ideas for the class to visit on school days out educational and historical venues are normally the most popular on a school trip! If your on vacation then ten pin bowling alleys and the other best family places of interest just browse our site. 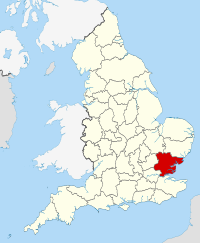 Essex is a county in the East of England close to the capital city of London. The county town is Chelmsford and the highest point of the county is Chrishall Common near the village of Langley, close to the Hertfordshire border, which reaches 482 ft (147 metres). To filter by attraction or activity please use the drop down above. there are plenty of things to do in Essex with kids clubs, scouts and girl guide meetings to keep them busy. Loads of indoor play centres and zoos to museums and more.